Do It Yourself music album. As an indie music band, we don’t have any producer / manager / artistic director / label / distributor / booking agency / designer / … which technically means, we have to do all that stuff by ourselves. It’s a bit like being an actor, one day you’re a photographer, the next day a sound engineer… or at least, we try to be ! Yesterday wasn’t our best day. We found out the company we had chosen to press our album was in reality located in China. We only realised it when we asked for the legal info that we have to send to authorities in France (which includes the manufacturing place). So what ? For many reasons, starting from human rights to social or environmental concerns, we just can’t imagine getting our album made in China. We strongly believe that local production (in our case at least in a close European country) is a way to support our economy, jobs, society… even if it will mean in our case an extra of maybe 10% on the total price. So right now… we’re searching again for companies that really do manufacture in Europe. With the best prices possible, of course. Our dead-line to send the album to the factory was August, the 15th… and we’re quite happy as we are realizing we’ll be able to make it on time. A small tour within what we’ve been busy with lately ? We’re done with anything recording-related, but there’s still some work to be done. 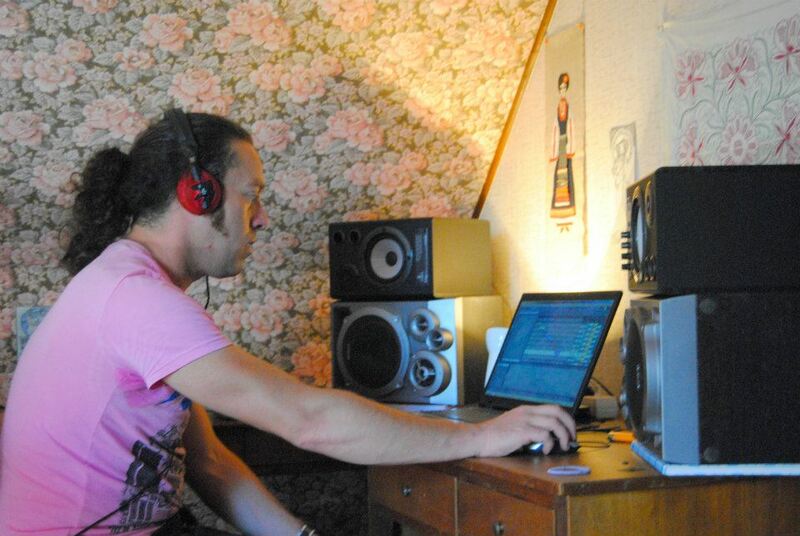 Yann is mainly spending his days mixing and mastering. We bought some (cheap) monitoring speakers, ans luckily our small village in Brittany is far more quite than Istanbul. Then we’re regularly making copies to listen to it there and there, in the car, at friends place, on bad and good sound systems – this help us to check out the sound quality, but also to fine-tune arrangements. 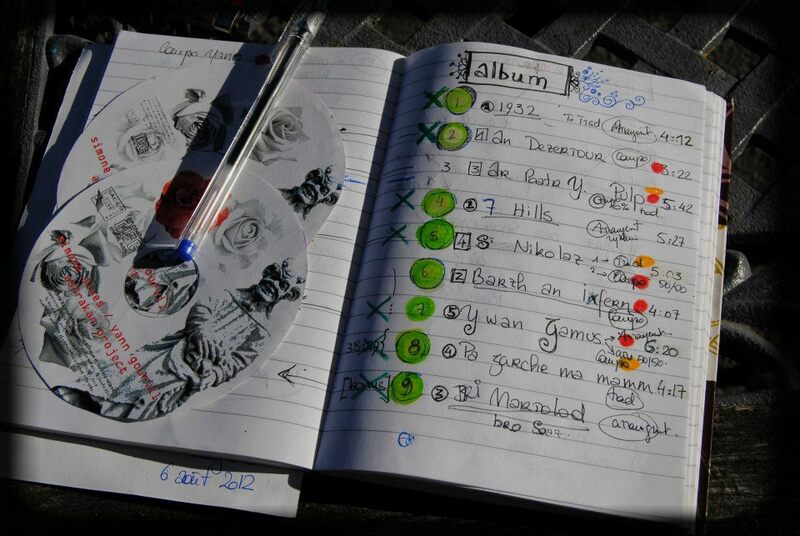 While listening, we’re also trying to get the final tracks’ order, and it’s not an easy task. Of course, we do love any of the tunes that we recorded. But we love them for may different reasons. Some of them because of the tune, other might be because of the particular moment we started to play it… Not all these reasons are very “musical” ones. For labelled artists, an artistic director or some professional like that could help or advice. In our case we really need to step back and be as neutral as we can towards our music – but on the other hand we keep control on our work. which will be the first track? And at the same time, I’m working on the cover, checking the printing margins, colours, contrast, but also the content and spelling. I’m quite happy as all this is also on its way. But as always, fine-tuning may take more time than expected, so… we’re trying to keep focused! Although we both already had some experience in recording music, when we thought that our best option at the moment would be to self produce our album, we weren’t really prepared for the amount of work awaiting us. Our first self-produced record was not a full album, but more a kind of EP, 32 min music, in a simple sleeve package since we intended also to use it for promotion. Although we produced/edited/distributed this record, we could afford for a studio for 2 days + 1 day for mixing. 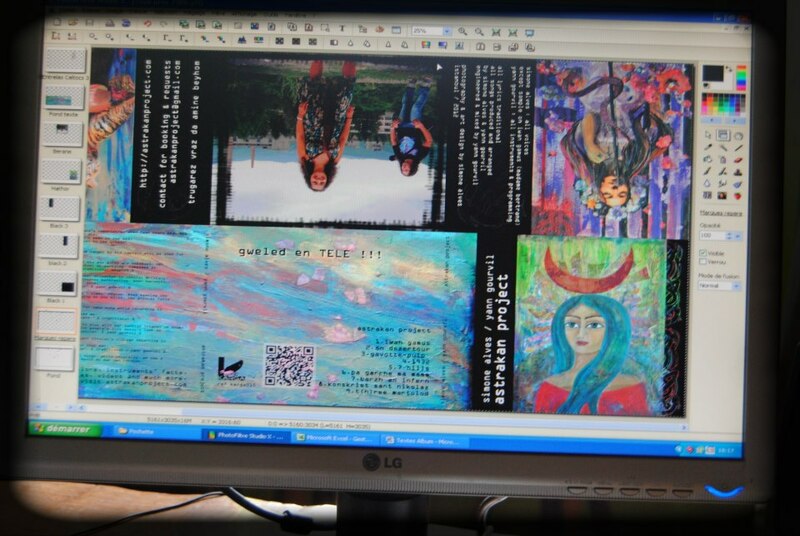 Our flute player took care of setting up some graphics for the cover. 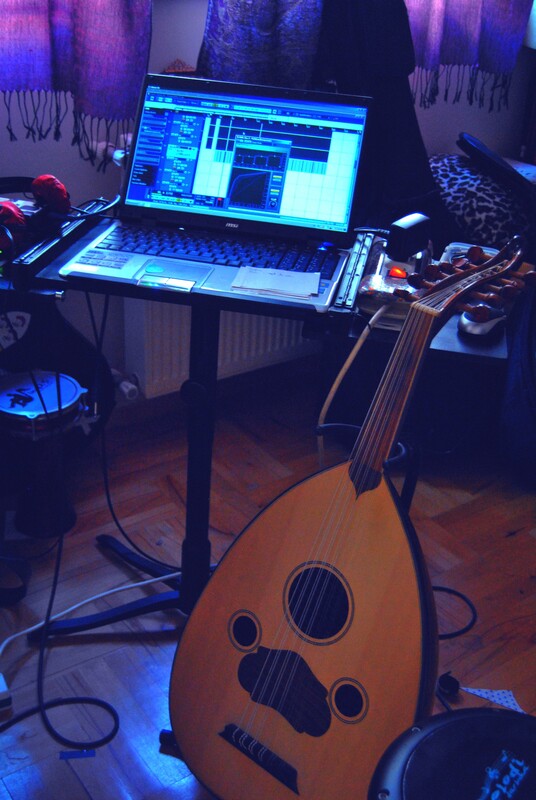 The music was quite simple to record, only vocal, flute and guitar. So was the mixing. And the music structures we were using were quite straightforward. 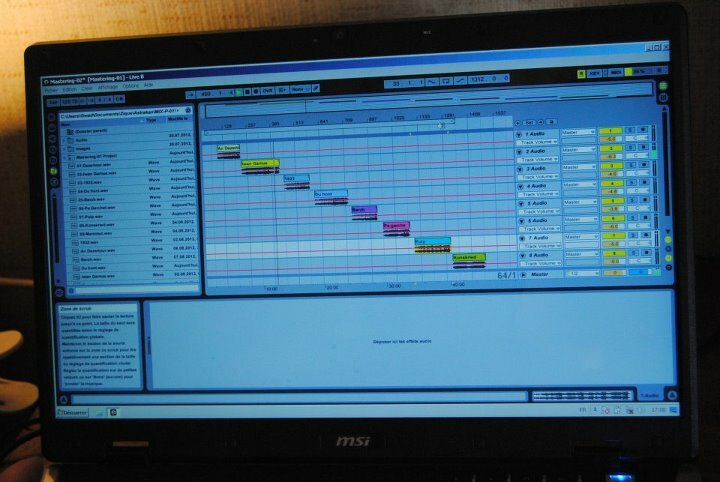 Then, we recorded with other projects, we had not much to do but to practice to get ready, show up on time, record. Not that we were earning money or even get paid for those projects, but at least, we add the feeling we were *musicians*. 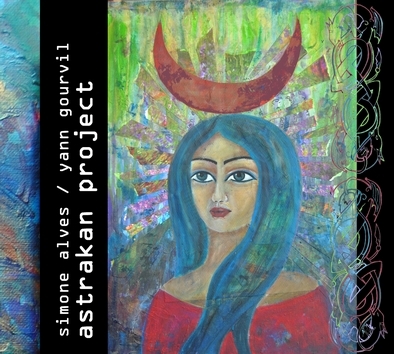 With Astrakan Project, things are slightly different. For the first time, we’re talking about producing by-ourselves a full album, but also not without enough money to pay for the normal usual expected things… studio, sound engineer, graphic artist,… Many things are a question of money. Not only, but still. Not enough money means that we could afford for one or two days in a studio, but that this amount of time would never be enough to get the music we had in our heads. From this objective assessment, we deduced that we had two options. (1) wait to have the financial support of an hypothetical label that would invest in our project (2) do as many things by ourselves as we could, whatever the time it may take, whatever we would have to learn on the way. You all know by now that we choose the second option. And the truth is… we don’t have any regrets. Not only do we still feel like we are *musicians*, but we have another relation with “making music” that we’d never expected. We realise that by mixing ourselves, we are adding our personal spirit to the mix; by making our own covers from zero, any detail will add *a little something* to the music that will be heard afterwards. But… we still might need some holidays after that ! 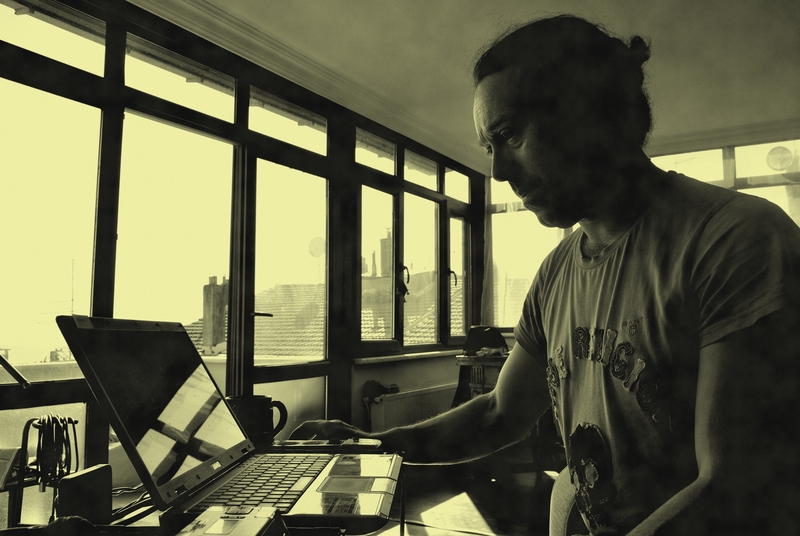 End of June is almost there, and despite of Istanbul’s weather being really hot and sometimes hardly breathable, we’re quite surprised with how far we’ve come with our recording. 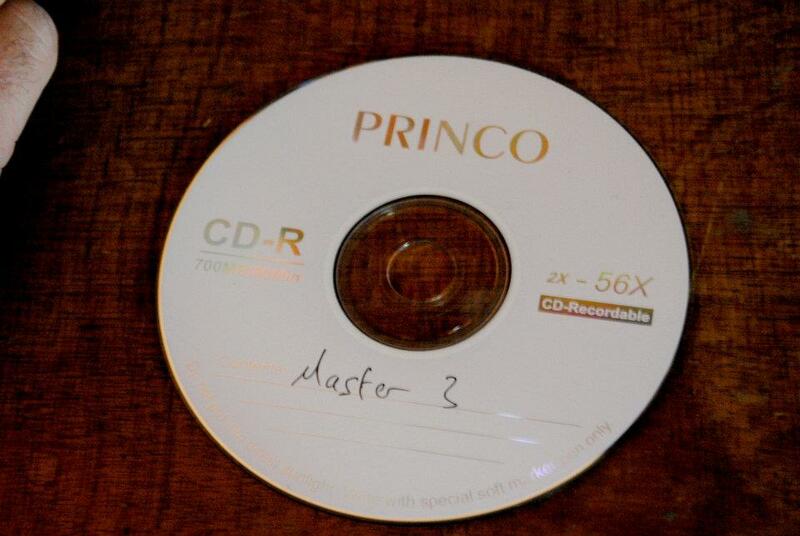 Most of the 9 tracks are fully recorded, we’re now at the stage of fine-tuning, looking how they will “fit” all together in the album, looking for the most appropriated order, also fine-tuning the mix, and getting into the mastering. Cover and art-work is the other big part of the work that needs to be done. Simone has made a painting recently that we decided to use as the front cover. We just thought “it’s the good one”, although initially we had some plans to use a statue’s picture. Most probably what we felt in this painting could “represent” our music has to do with the mix of cultures. She looks kind of Egyptian, but kind of Egyptian seen from the west. The background colours looking like stained glass also brings us back to the culture we both come from. But… why do you record an album ? Yes, why ? For independent artists like us, the answer cant’ be straightforward. We could decide to record but not release “physically” an album. Make it only available for download. Many artists are successfully doing it. From a commercial point of view, we know we’re not gonna make huge sells, although we have great hopes they’ll cover the release’ expenses. So, why ? The fact is : a record-less musician isn’t to be considered seriously, by anyone, professional or not. We sometimes get the feeling of a nether-ending cycle : no album => no review => no tour => no production => no album =>… So… we have to find a starting point ! From a creative point of view, and this is the most important part for us, we need to record some of our music so that we can move forward, so that we have something concrete on our path. A kind of milestone. Something we can refer to. Putting our tunes into a record is also a way to really go into details regarding our compositions. And it also differs from playing them live. But right after the “why“, come the “how”… Although we both already had some experience in recording music, when we thought that our best option at the moment would be to fully self produce our album, we weren’t really prepared for the amount of work awaiting us. But that’s another story !